Math & logical reasoning tests can sometimes be a little stressful. As well as studying to learn all the techniques you can, it’s worth planning some different thinking approaches that can help you get ahead. The Global Math Challenge team have put together some handy problem-solving approaches into what we call the 5 Thinking Strategies. If you come across a difficult question and don’t know where to start, try to think about these strategies – using them might help you make a breakthrough when you’re faced with a tough question. Firstly, let’s look at the Scan and Step strategies. These are useful as your first approach to a question. Jot down all the key information in the question. Try to visualise the question; turning it into a picture or a diagram can help. Turning a series of figures into a rough bar or pie chart can help you get a grasp on the problem. Make sure what exactly is questioned here. Find what is necessary to get the answer you want. Think how you can get the information that is missing on the way to the answer. Sometimes, you may get some possible answers even after you narrow down the options. In this case, check every possibility one by one. But what if you have no idea whatsoever? Then it’s time to use Create! Try anything that pops up in your head to solve the question. Keep kneading the question until the eureka moment comes to you. Once you get an idea, or a hint appears, try utilising some of the other thinking strategies to push on. 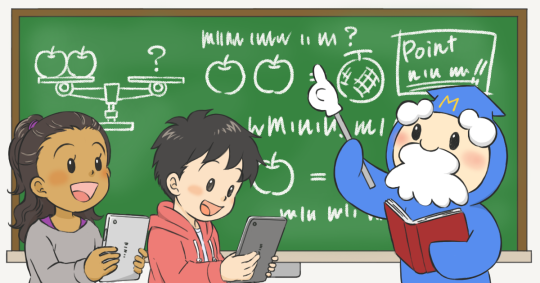 Global Math Challenge is a free to enter online contest produced by Sony Global Education in association with the Japan Prime Math Olympic Committee. Sign up today and Meet the World Through Math.